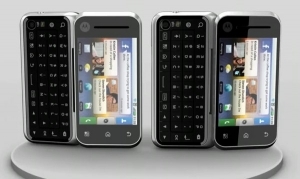 Motorola to launch 20-30 Android phones in 2010 | Android Blast! According to Cnet Asia, Motorola is gearing up to release a large number of Android phones this year. In fact, Cnet says the company will release 20-30 Android phones worldwide in 2010. Cnet sat down with Motorola's Asia Pacific VP, Spiro Nikolakopoulos who says not every phone will make it to every market. It looks like Motorola will have some Android phones for certain markets only. Either way, that is a huge number of Android phones that are coming to market very soon. It seems like Google is taking over the mobile world these days. What does this mean for Apple and RIM?